How to Know if You are a Foodie or Just Like to Eat? 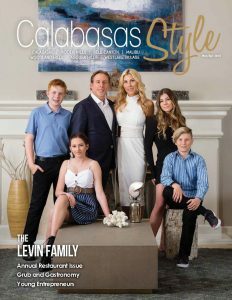 | Calabasas Style Magazine How to Know if You are a Foodie or Just Like to Eat? How to Know if You are a Foodie or Just Like to Eat? • You appreciate the quality of your food. • You appreciate authentic regional cuisine. • You order takeout from a restaurant. • You appreciate homemade food and enjoy cooking. • You notice imported ingredients. • You appreciate organic, fresh ingredients. • You would choose food over ambiance. • You appreciate the presentation and attention to detail. • You order food without substitutions, trusting the chef’s palette. • You are excited to try new, exotic cuisines and go on food adventures. • You read restaurant reviews and are always looking for restaurant recommendations. • You have opinions about your food and often find them come up in conversation. • Cost and convenience are factors in deciding what to eat. • Fast food is satisfying to you. • You order takeout in a drive-through. • You do not enjoy cooking and rarely cook at home. • You notice the food wrapping. • You eat mindlessly, with no regard to ingredients or nutrition. • You value convenience over quality. • You are notorious for drenching your food in sauce, like ketchup. • You make substitutions to your entrées when dining out. • You find unfamiliar tastes undesirable and are not willing to try new cuisines. • You repetitively visit restaurants at which you’ve had a mediocre experience. • You believe food should be kept simple and is just fuel for the body. Don’t Miss our Annual Home Issue!